I think it is a brilliant move by Blizzard to not have an NDA for StarCraft 2. Most companies hide their games while they are in beta. Most beta releases are unpolished and have many missing features. The devs still need to drop in content and flesh out the game. No wonder they want to cover up the reception their games are receiving. Look at any beta forums and you will realize almost every thread is tearing the game apart, railing against all the things that need to be fixed. Compare this to Blizzard. Blizzard entertainment only releases a game "when it's done." They finish adding all their features and content before the game ever reaches any public eyes. This makes a huge difference. This way no consumer confidence is lost in the game or in Blizzard as a game company. It is basically the difference between presenting an unfinished unpolished game and presenting a fully realized game that just needs a little balancing. Not only does this allow Blizzard to market a finished game, but it lets the community become it's own marketing force for the game. Blizzard's strategy of releasing a game "when it's done" is a win win for them and for the gaming community. 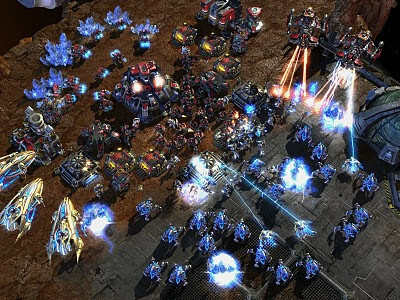 All the community coverage is making StarCraft 2 more appealing each day. it does not have LAN support or chat rooms, you cannot play with people from Europe or Asia.